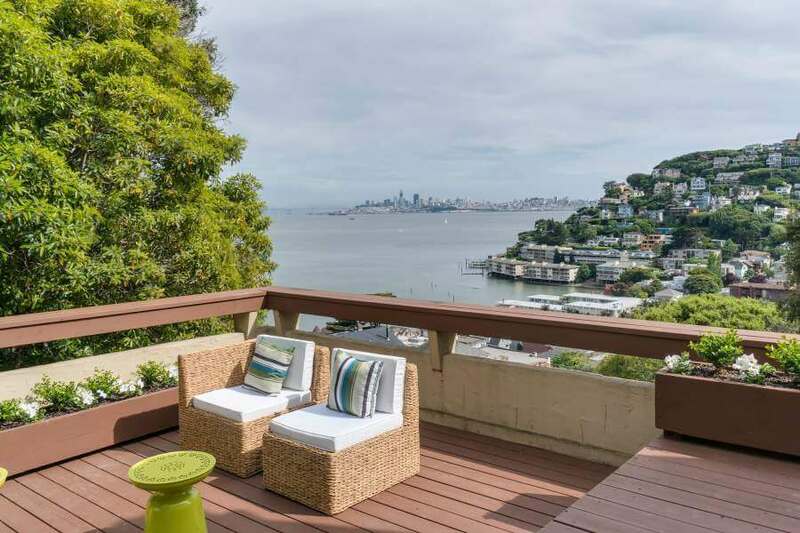 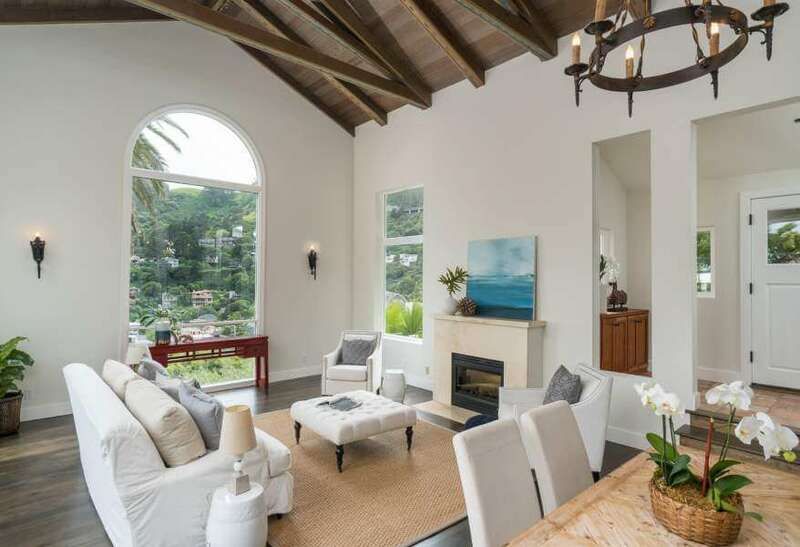 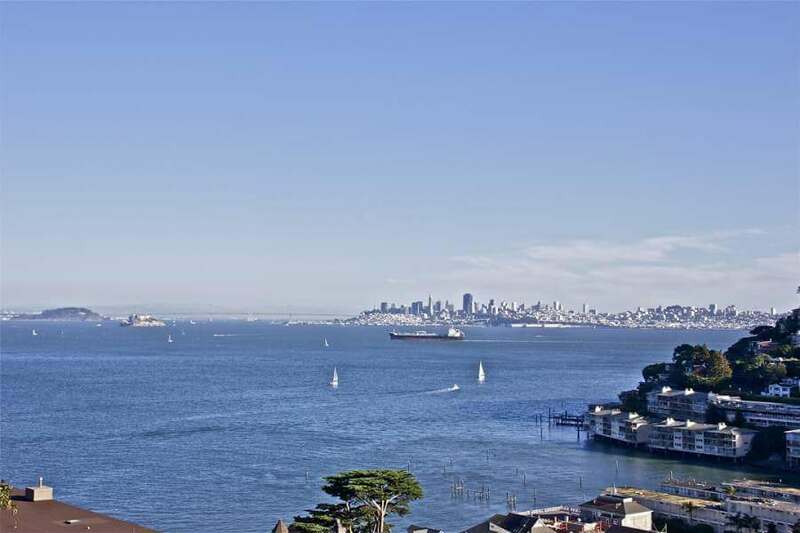 410 North St, Sausalito, is the perfect house for entertaining and for enjoying the million dollar SF and Bay views plus constantly changing light! 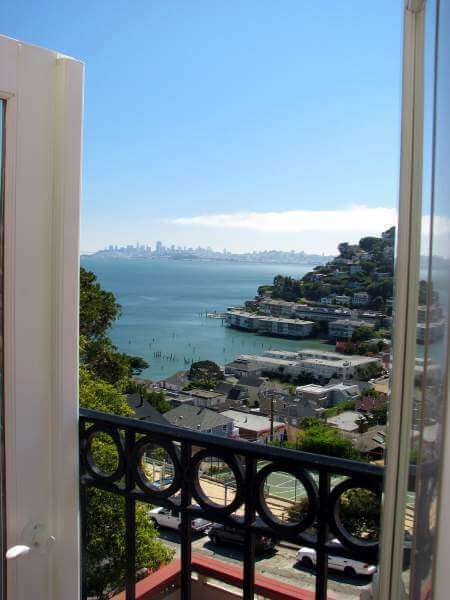 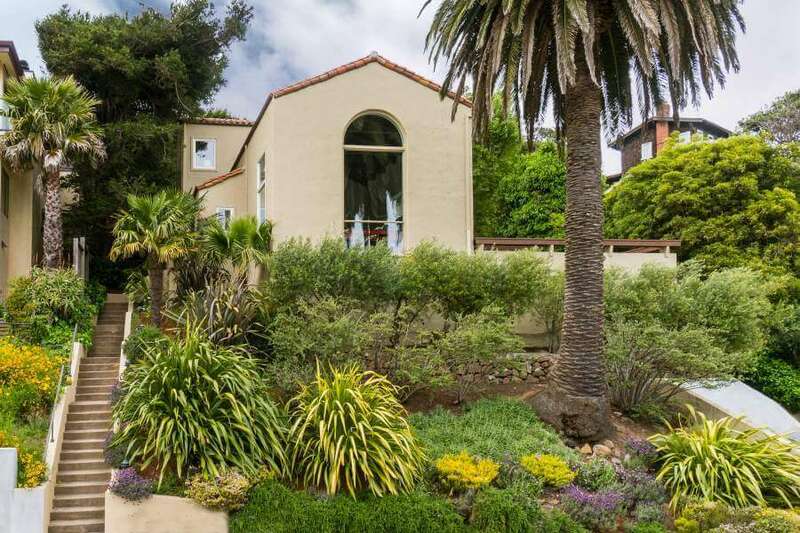 This vintage 1925 Mediterranean house has spectacular views of San Francisco, Alcatraz, the Bay Bridge, and the East Bay. 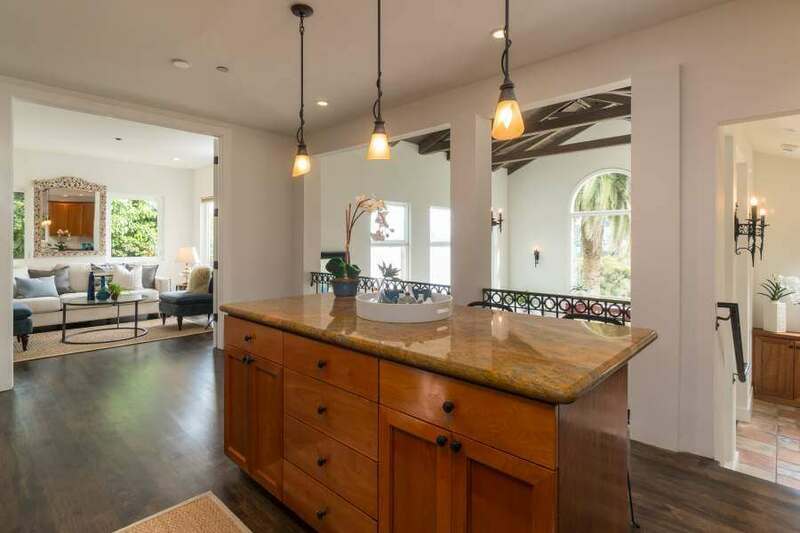 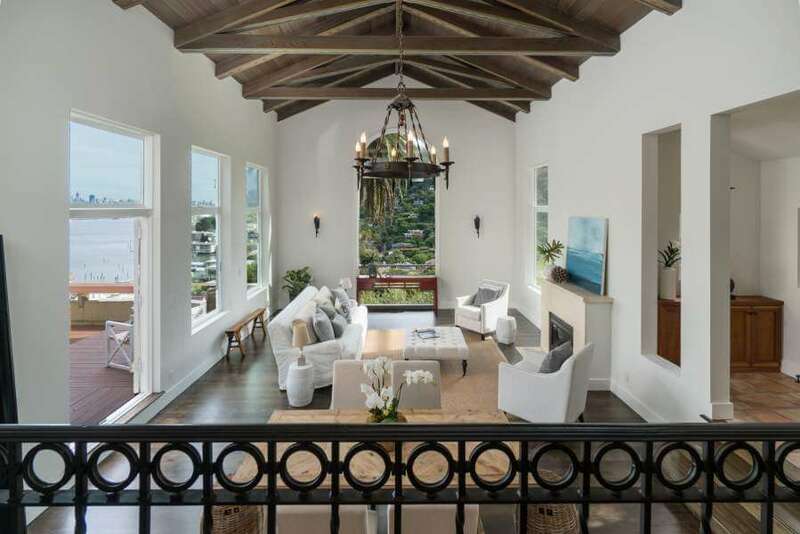 It has been completely remodeled while retaining period details: tall arched windows in the two-story Great Room, wrought iron sconces and chandelier, painted ceiling beams, tile entry, charming wrought iron balcony, and classic palm tree. 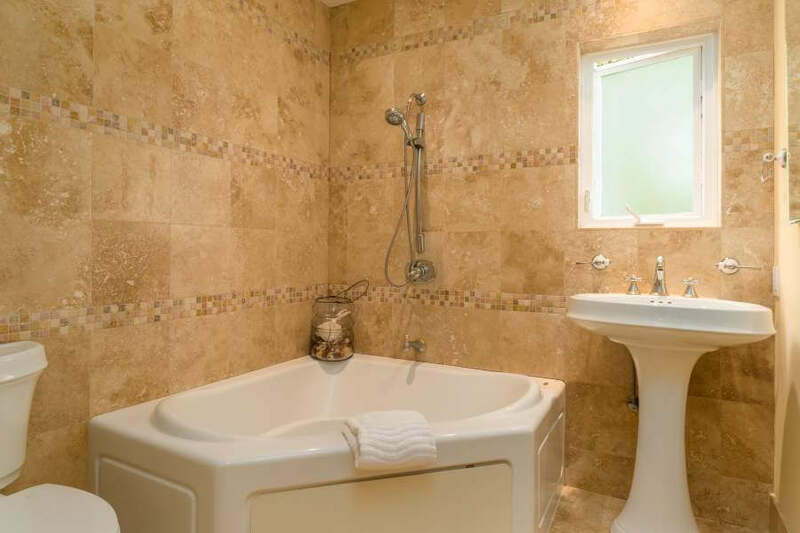 There are three en-suite bedrooms, one on the mezzanine level and two on the upper level. 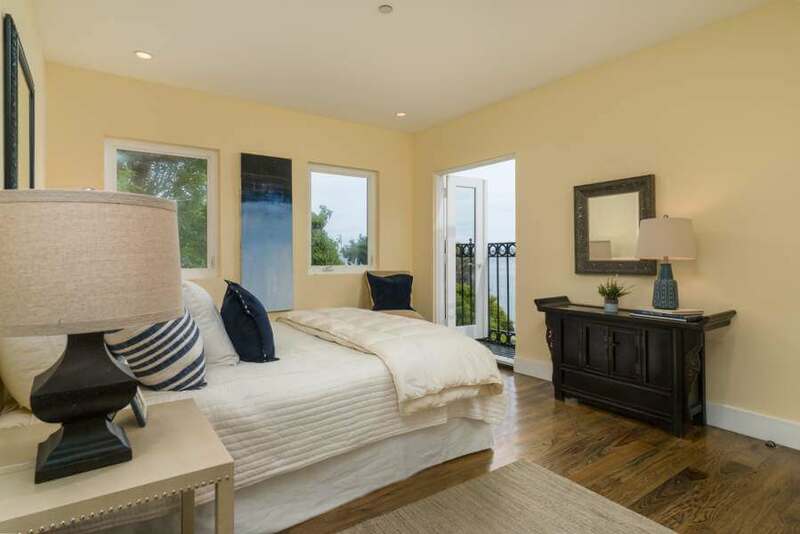 The Master suite looks south to San Francisco and east to the Bay. 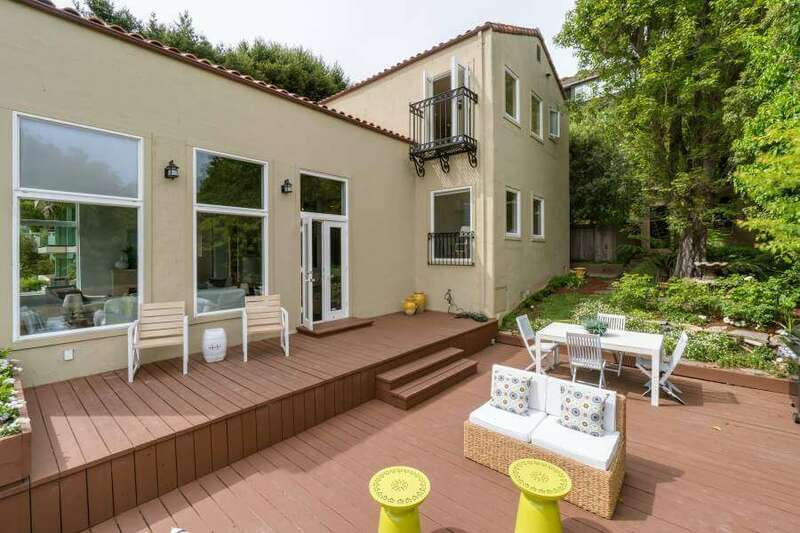 The home has been updated with marble and granite surfaces, hickory floors, modern lighting, and a fabulous kitchen on a mezzanine/ balcony overlooking the Great Room. 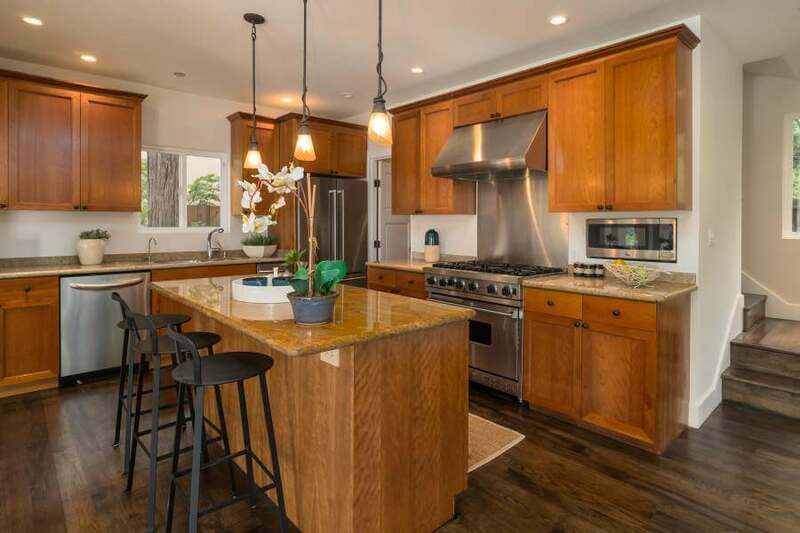 The kitchen features solid granite counters, a central island, stainless steel appliances (including 6-burner Wolff range), custom lighting, pantry, and a sitting area. 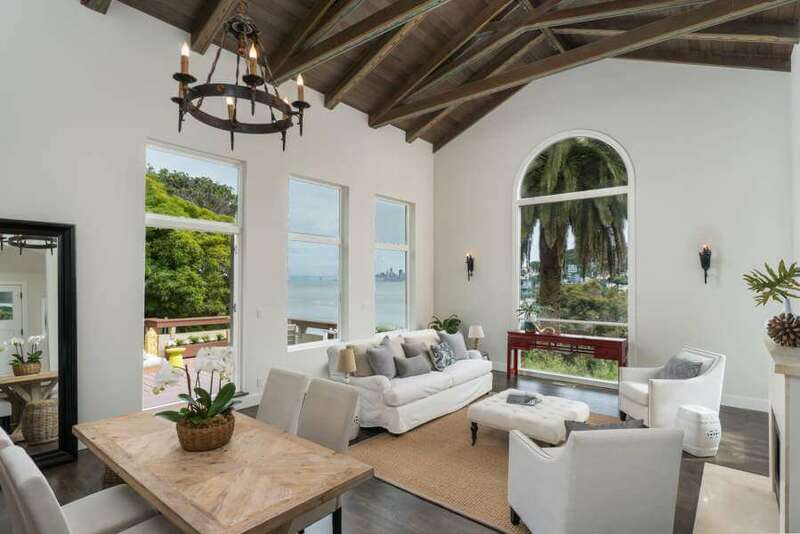 The Great Room has a monumental, floor-to-ceiling arched window providing southern light plus views of the Bay and Sausalito hills. 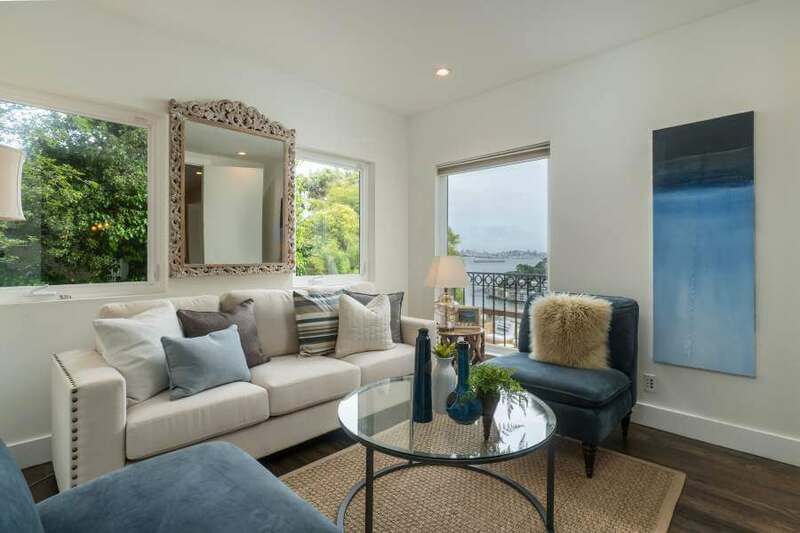 A gas fireplace has beed added, with a stone mantle. 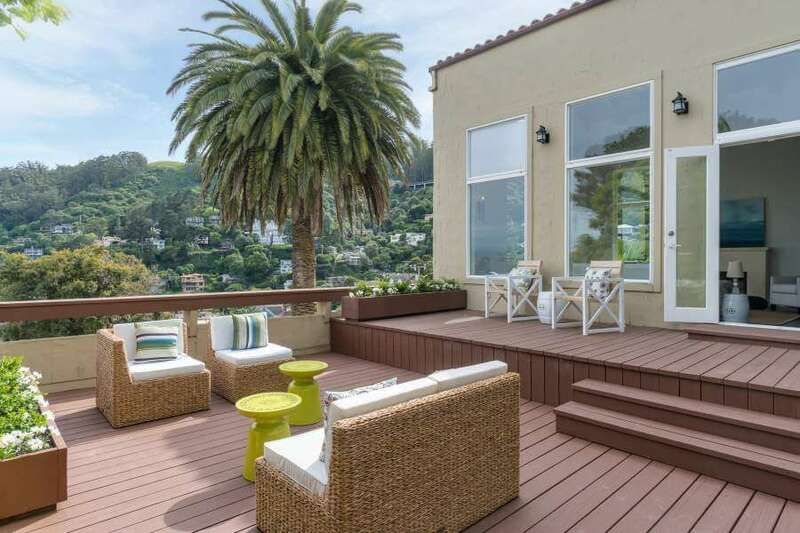 French doors open to a large deck and patio with mesmerizing views and a small garden. 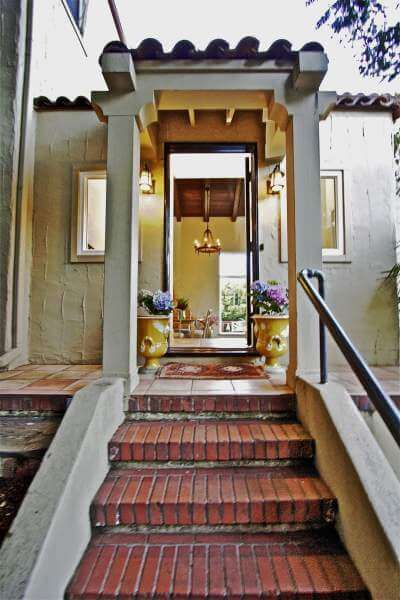 On the street level, there are two garages and a hillevator to the patio and Great Room.